I am sure you have heard of ILM before or at least seen it in the credits for just about every movie made. 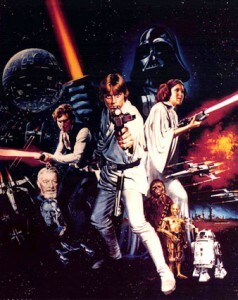 It is the amazing effects company started by Star Wars creator George Lucas 35 years ago. It was started to create the effects for Star Wars and quickly became the premiere effects company in Hollywood and is virtually in every film in some form or another. So the Encore movie channel will be airing a documentary in November about the ILM company. It will be narrated by Tom Cruise and will feature interviews by major actors and directors. Beverly Hills, CA., September 14, 2010 – Since its founding 35 years ago, Industrial Light & Magic has been the movie industry’s undisputed leader in groundbreaking visual effects, thrilling audiences and making hits into blockbusters. On Sunday, November 14 at 8:00 p.m. (et/pt), Encore presents an original documentary celebrating that legacy. “Industrial Light & Magic: Creating the Impossible” is directed by Academy Award® and Emmy® nominated director Leslie Iwerks and is narrated by Tom Cruise. Encore will also present five ILM-effects films starting at 2:00 p.m. with Jumanji, followed by Hook, Jurassic Park III, Twister and Starship Troopers. ILM has received 15 Best Visual Effects Oscars and 25 additional nominations. It has also received 23 Scientific and Technical Awards from the Academy of Motion Picture Arts and Sciences in recognition of the critical role the company’s advances in technology have played in the filmmaking process. ILM is also the only entertainment company to be recognized with the National Medal of Technology. I just hope it is an depth look at the company and not a broad view of it. I will be recording it. This entry was posted on Thursday, September 16th, 2010 at 2:05 pm	and is filed under News. You can follow any responses to this entry through the RSS 2.0 feed. You can leave a response, or trackback from your own site.